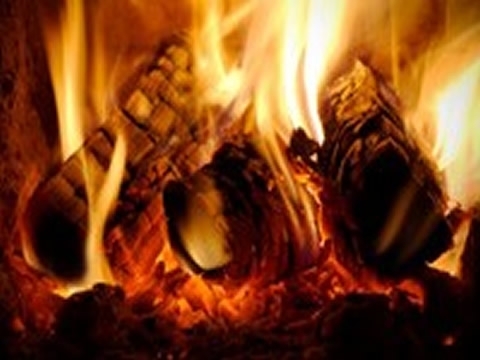 Wood burning is a major cause of wintertime PM pollution. The particulate matter (PM) in the wood smoke from fireplaces and wood stoves has been a health concern for many years. Particulate matter is a mixture of solid and liquid particles in the air. The smaller-sized particles - those 2.5 micrometers or less in diameter (PM2.5) - are of greatest health concern because they can pass through the nose and throat and lodge deep in the lungs. PM2.5 are sometimes called "fine" particles. For comparison, they are less than 1/25 the diameter of a human hair. A voluntary partnership program between EPA, state agencies, manufacturers, and consumers to emphasize the importance of burning the right wood, the right way, in the right appliance. Stop Burning Wood! Pollute less by finding a cleaner way to heat your home. Switch to a Gas Fireplace or Insert. Convert your fireplace to gas with a new gas fireplace insert. If You Must Use Wood, Burn Less Wood. Reduce your heating needs by weatherizing your house. Replace your old woodstove or fireplace with a new certified model, and get more heat and less pollution while burning less wood. Change the Way You Operate Your Stove or Fireplace. Burn only clean, seasoned wood and non-glossy white paper. Build small, hot fires instead of large smoldering ones. Burn seasoned cordwood. Watch your chimney for smoke and have it inspected often. Follow your wood heater's operating instructions carefully. And Remember - Check to see if it is illegal to use your fireplace or woodstove when a Winter Spare the Air Alert has been called by your local air quality district. Do you live in an area with restrictions on wood burning? Restrictions on wood burning in fireplaces and wood stoves are issued by various state or local air pollution control agencies when air pollution levels rise to unhealthy levels. Below is a list of air pollution control agencies that have wood smoke reduction programs.